With task management it is extremely important to have clarity and know who is responsible for a task. Therefore a task should have only one owner, even if multiple people work on it. The owner is responsible that the task is completed. If a single task is assigned to multiple people, chances are it will not be done. Person A will assume person B will do it and vice versa. At times however you may want to assign the same task to multiple owners. This is different form having multiple people working on a single task. 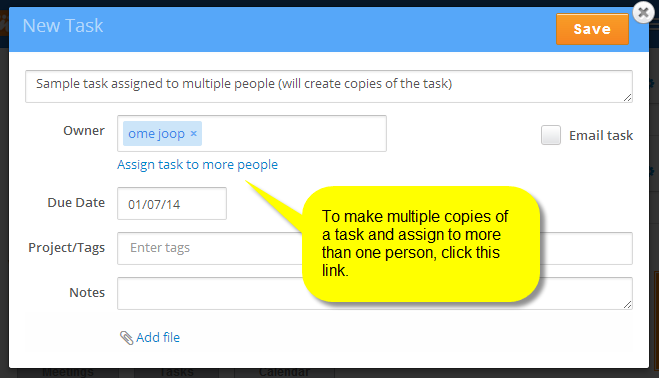 In this case you create copies of the task and therefore create multiple tasks each with a different owner.